Comments: Blue Star Villa features four bedrooms and four private en suite bathrooms. Unlike other four-bedroom villas, Blue Star Villa offers not one but two king sized masters. 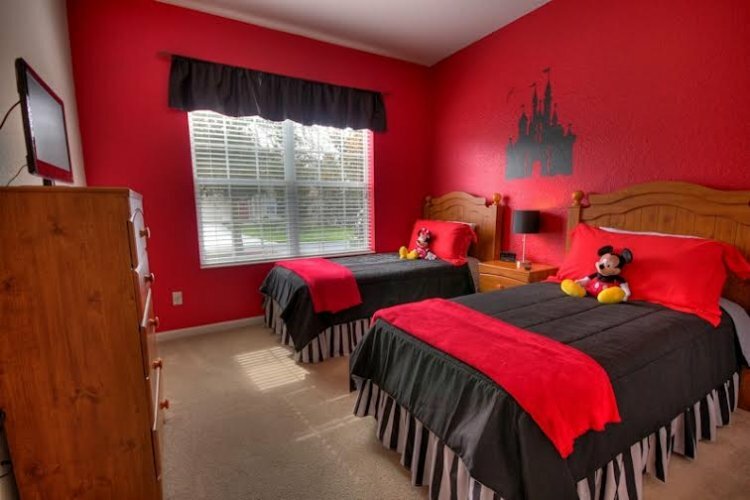 Kids of all ages will enjoy the Mickey Mouse themed bedroom with two twin beds and the Animal Kingdom themed bedroom with two twin beds. 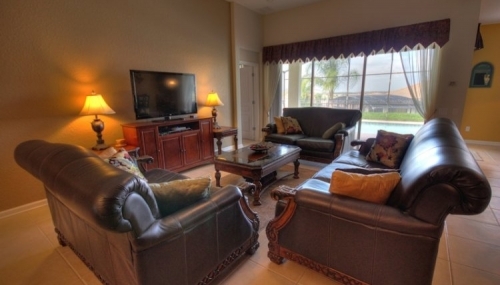 Each bedroom has its own flat screen television and cable access. The villa also provides a portable pack and play, high chair and two strollers for infants and toddlers. Little princesses will thrill to find a closet full of Disney princess dresses, tiaras and high heels. Blue Star Villa also offers our guests the following amenities: Free secure WiFi Free telephone calls to North America Gas grill Washer and dryer Hair dryer in each bathroom Iron and ironing board Linens, towels and beach towels included Two strollers Sturdy high chair Two pack and plays Bed rails for twin bed Baby monitor Safety fence around pool One floor plan - no stairs to climb! Availability: Please contact owner on the inquiry form. Games Room: Enjoy the home’s carpeted games room. Rack up a game on the pool table, challenge someone to a match on the air hockey or Foosball table. For the little ones, a Kids Zone offers a selection of toys, games and puzzles. For the gamers in your party, Blue Star Villa also offers a video gaming center with an HDTV, Wii and Wii Fit system and Sony PlayStation 3 with a large selection of games and comfortable seating. King Beds: Yes, two King bedrooms. Please visit our website for the most up to date rates and a quote. 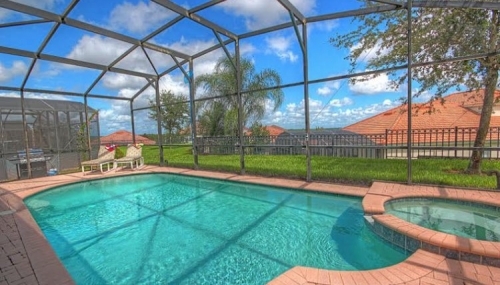 Planning to stay in sunny Central Florida for work, a family vacation, or just some down time? 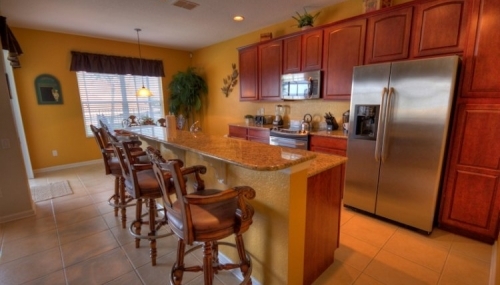 We are pleased to showcase our luxurious home in the Windsor Hills Community in Kissimmee, Florida. 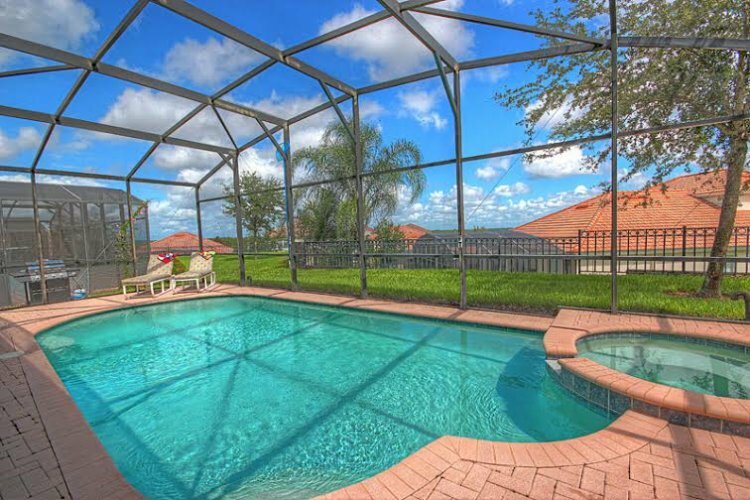 This upscale home away from home offers everything you need to settle in, enjoy all the local attractions or just bask in the sun. 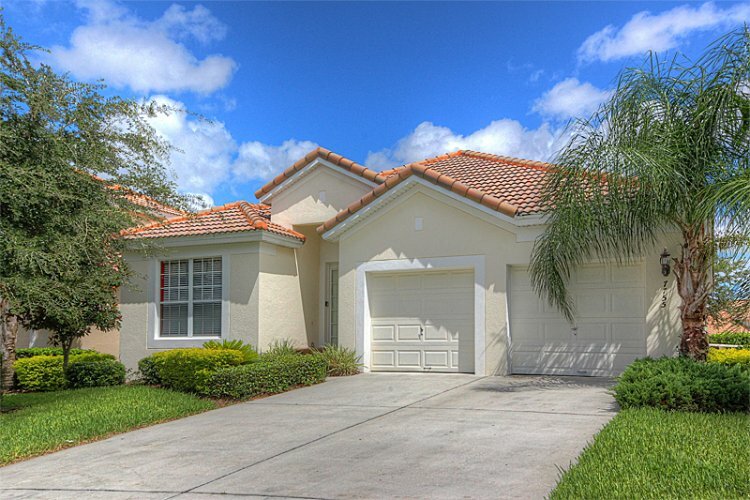 Windsor Hills is recognized as one of Central Florida’s most premier communitys. 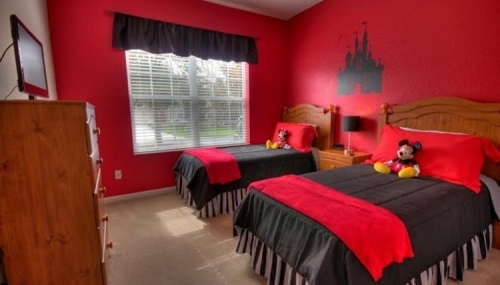 Located just 2 miles from the entrance to Walt Disney World, you can be on Disney property in minutes. 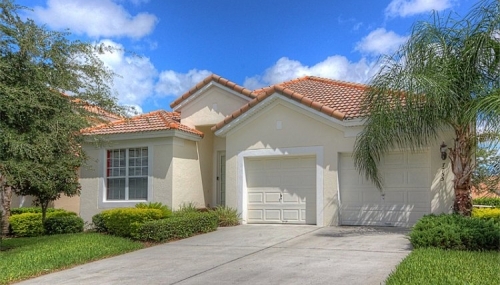 Close proximity to Interstate 4 makes travel to other great attractions like Sea World and Universal Studios quick and easy as well. Our newly-decorated villa boasts four lovely bedrooms, each with its own private en suite bathroom, a large open living/dining area, fully equipped kitchen, a heated pool and spa and a game room where you and your family can enjoy pool, table hockey, foosball or a rousing game on the Wii or Playstation 3 gaming system. 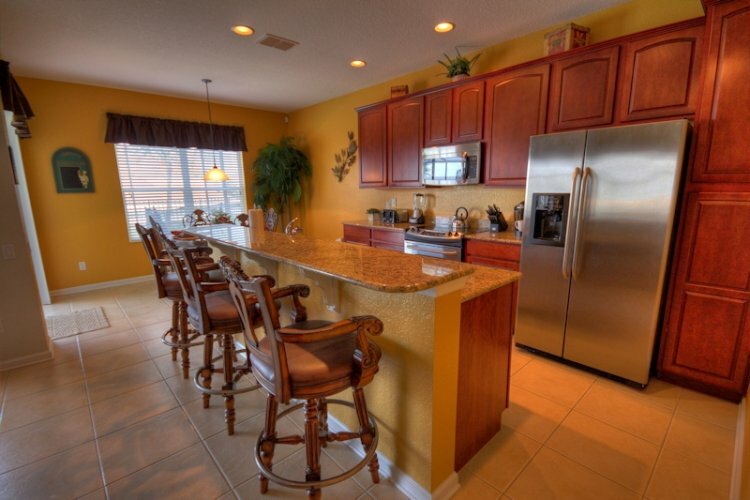 Relax, celebrate the day, and unwind in your own private utopia after a busy day exploring Central Florida. The Windsor Hills Community offers its own set of amenities to community guests. The community clubhouse features a luxurious community pool and spa, a private theater, a gaming arcade, a fitness center, an internet café and an on-site sundry shop stocked with everyday essentials. In addition, scattered throughout the grounds of the community is an array of children’s themed playgrounds. We invite you to be our guest and discover the beauty and serenity of Blue Star Villa. 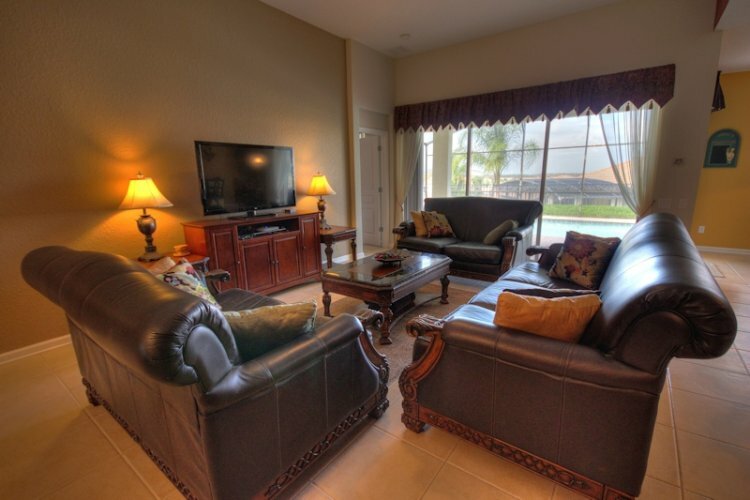 We believe that our home will quickly become your favorite vacation destination. Please feel free to contact us with any questions that you may have. We look forward to hearing from you soon!